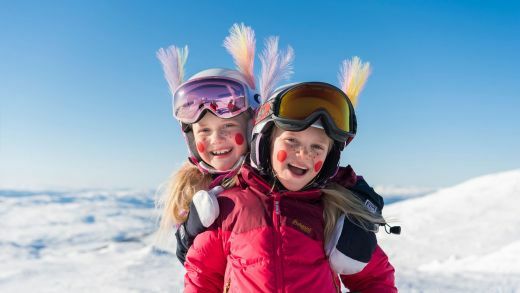 Scandinavia’s largest ski resorts operator, SkiStar, reports sales are up 11% and skier visits up 1%, both to records levels, for the first half of this season. The company, which owns and operates ski resorts in Sälen, Åre, Vemdalen, and Hammarbybacken (Stockholm) in Sweden, Hemsedal and Trysil in Norway and St Johann in Tirol in Austria was reporting on its second-quarter results, which included the February Alpine World Championships, the biggest event in skiing besides the Olympics, hosted in Åre, for which Skistar was also the headline sponsor. “We are delighted that all events went as planned and are pleased about the exposure we received from our title sponsorship. Traffic to skistar.com from abroad increased during the period. For example, in a potential growth market like the UK, we saw a 70 percent increase in traffic to skistar.com,” commented CEO Mats Årjes. Continued strong interest in alpine skiing is the underlying reason that SkiStar can present Profit after tax is SEK 87 million more than last year. “With a strong first half behind us, our focus is now on winding up this year’s season as well as starting preparations for 2019/20. We will also continue to invest in Sälen and Trysil as a partner to the construction of Scandinavian Mountains Airport. The schedule for the first planes to land in December 2019 remains unchanged. As with the World Championships in Åre, it is part of our strategy to draw new foreign guests to our destinations,” Mr Årjes said. Skistar’s revenue for the first six months to the end of February 2019 was SEK 1,628 (1,436) million, an increase of SEK 192 million (13 percent) compared with the previous year and profit after tax for the first six months was SEK 410 (323) million, an increase of SEK 87 million (27 percent) compared with the previous year. This is the best half-year result in its company’s history, Mr Årjes said.